Every year tens of thousands of people visit Surrey, and it’s no surprise as to why so many people choose our county.Surrey has an abundance of green spaces, outdoor sports and leisure activities to keep the family busy. There are events and festivals all year round, with something to suit everyone’s tastes. It’s no wonder why many people pack up and choose to relocate here. Surrey usually finds one of its towns or villages in various UK’s ‘best places to live’ surveys and lists. Because of its proximity to London, a high influx of people moves to Surrey in the hope of a better quality of life with the benefits of being close to the capital. Surrey has excellent transport systems into London as well as other major cities in Southern England. The WH Cox team are fortunate to call Surrey our home, and we’ve put together our top picks for things to do in Surrey this winter. If you’re planning on visiting or Surrey is already your home, we hope that there’s something here that you’ll enjoy bringing the year to a close. Rebus – Long Shadows: if you like Ian Rankin’s blend of contemporary detective fiction, you’ll want to book up for this. Ian’s famous Rebus novels are amongst the best modern series around. The award-winning playwright Rona Munro is teaming up with Rankin to bring detective Rebus to the stage at the Yvonne Arnaud Theatre in Guildford, from the 19th to the 24th of November. Ascot Carriages: ever wanted to enjoy some of Surrey’s green spaces and countryside without going on a walking tour. Well, we have something that might interest you. You can take the whole family or your better half on one of many horse-drawn carriages. There are various tour packages available, but it is weather permitting. Hampton Court Palace Ice Rink: many cities around the UK host seasonal winter ice rinks. However, none of them can boast the stunning backdrop of Hampton Court Palace. From the 23rd of November through to the 6rg of January, you can enjoy this sizeable outdoor ice rink. 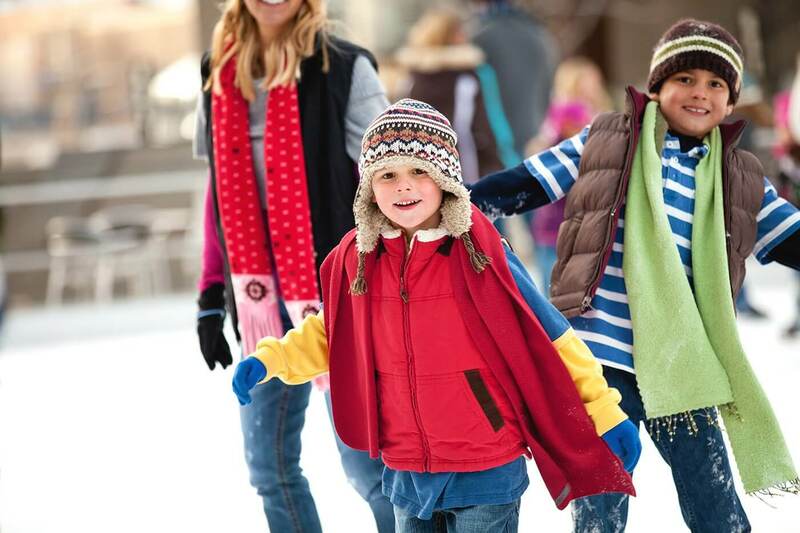 You can have a refreshment at the Ice Rink Café & Bar to warm up or relax while the family cut the ice. Dorking Christmas Festival 2018: we couldn’t leave out a Christmas event from our list without being accused of being humbugs. We love Christmas, and this year our top pick for festive occasions in the Dorking Christmas Festival with Christmas Lights Switch-On. Dorking’s best eateries and shops are all in on the act, in addition to a Christmas fair where you can buy artisan and traditional gifts. Who knows – Santa may even make an appearance. TEDx Woking: The Ted Talks are world-famous and feature some of the broadest subjects at events worldwide. This year, Woking hosts the TEDx ‘Discovery’ speaking event at the Living Planet Centre. It’s a unique event that promises to raise some potentially ground-breaking topics and discuss points. Visiting Surrey is often the catalyst that makes people put serious consideration into moving here. One of the best pieces of advice we give is to do lots of online research and keep visiting the areas you like. It’s possible to find out an incredible amount of information on Surrey on Google, but nothing beats first-hand experience. The types of information you should gather are things like healthcare, schools, transport links, and the local amenities. By the time you move your final boxes into your new home, you’ll already know your favourite pub or takeaway. You should also contact a local estate agent to assist with viewings and a mortgage broker to see what home loans are available for your budget. Surrey has some amazing places to live. From quaint villages to busy towns – you will be able to find the right area for you. You should make a criteria list of what your new home needs with regards to the number of rooms, type of garden, etc. And the first thing on your ‘to-do’ list is to start planning early. Then, you should book up with WH Cox & Sonfor your relocation. At WH Cox, we’re proud to call Surrey our home, and we love meeting new residents when we move them in. There is so much to do in Surrey; you’ll need to move here to experience it all. It’s a county for all seasons, with something happening every month of the year. Moreover, if you’re an outdoors type – this is the place for you. The WH Cox team will gladly assist you with planning your relocation. We prepare everything in detail well in advance of the moving day. WH Cox has removals packagesto suit everyone’s needs, and we make sure they’re the most affordable rates on the market. And should you experience any delays in moving, we have excellent storage packagesto keep your possessions safe and secure. WH Cox is Surrey’s best removals and storage company, and we go the extra mile for our customers. We cover every part of Surrey, and we often relocate people from London. Furthermore, the WH Cox team will turn up on time and fit around your schedule. Even if you’re pricing out quotes, we’re happy to assist with any questions you may have on our removals and storage services. The WH Cox team are here to help any potential new residents move into one of Surrey’s towns or villages. We’re always available to talk about our ranges of services, so please feel free to contact usat any time.